Cherry Affiliates is a leading brand in the casino market having got it start back in 1963. Since then, they’ve developed several online casino brands including Cherry Casino, Euroslots, EuroLotto, Norges Spill, Suomi Automaati, and Svea Casino. The Cherry Affiliates casino and online gambling branded properties house dozens of popular games and game formats. With regular updates and passionate team, Cherry Affiliates continues to push the possibilities of the online gambling industry. The Cherry Affiliates affiliate program allows partners the possibility of earning up to 45% of each referral player’s losses, every month, for the life of the player. Payments are set for the 10th of the month with earnings pulling from the previous month’s commissions. The Cherry Affiliates program includes a wealth of marketing tools from banners, mailers, landing pages, and reviews to embedded games, videos, and feeds. Its array of popular games has something for all. 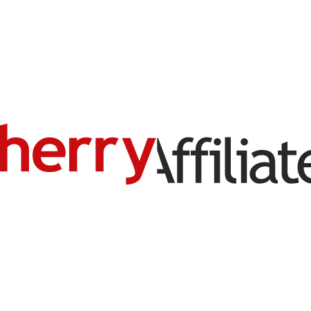 The Cherry Affiliates affiliate program is a hub and resource point for those wanting to promote some of the biggest online casinos in Sweden and the rest of Europe. As a partner to the program, you’ll earn high, recurring commissions for any player refer to their several, popular gambling platforms. What are the pros of being a Cherry Affiliates affiliate? What are some of the cons of doing so? We think the Cherry Affiliates affiliate program is a profitable opportunity when mixing in cross-promotions and new, exciting games on your gambling blog or campaign. Commission levels are quite rewarding though will require high play to hit the later tiers. In all, their limited but quality selection of games and platforms would mix well with other casino offers – there’s no downside to the program unless you’re already swamped with adding new promotions.